Essential Oil Education and Father’s Day Giveaway! This Friday, June 15, I will have an online zoom workshop to provide you information on how to use essential oils safely and effectively for your family. 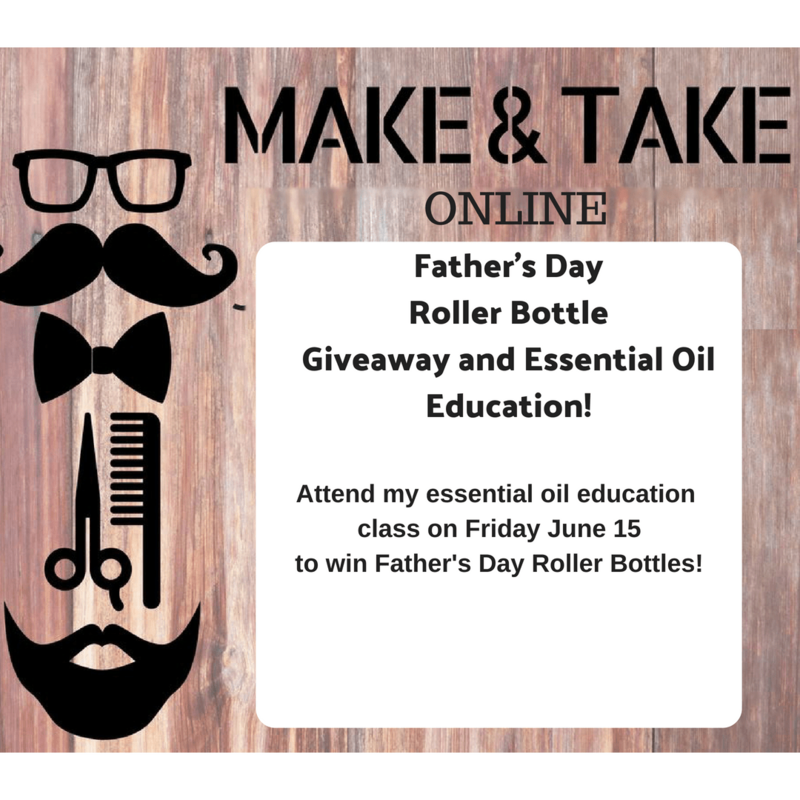 I will also teach you how to make a roller bottle for Father’s Day plus I will be giving away Father’s Day Roller Bottles (Calm Dad, Smelly Dad, Hairy Dad, Sore Dad and More! -general natural healing and how to reduce chemicals in your home. Essential oils work with your body’s natural processes to promote natural healing without the use of over the counter medications. My class will focus on learning how to use essential oils and which ones would be beneficial for you and your family.